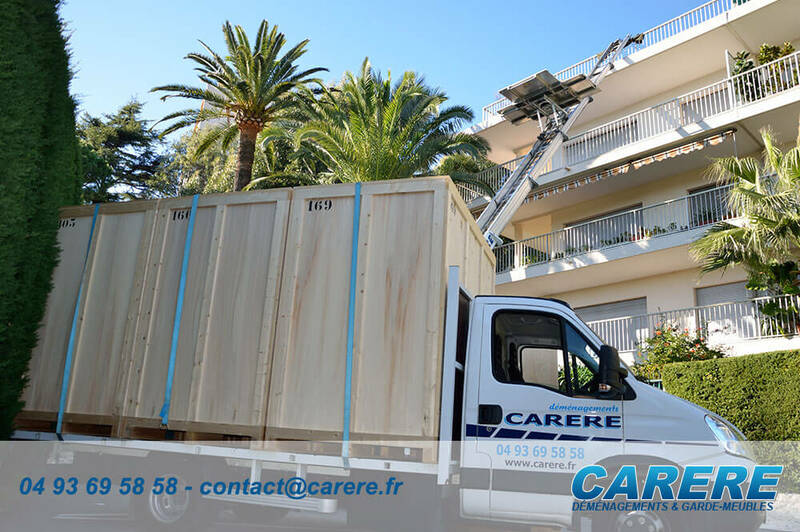 The company MOVINGS AND FURNITURE STORAGE CARERE is located in Mougins in the Alpes Maritimes. 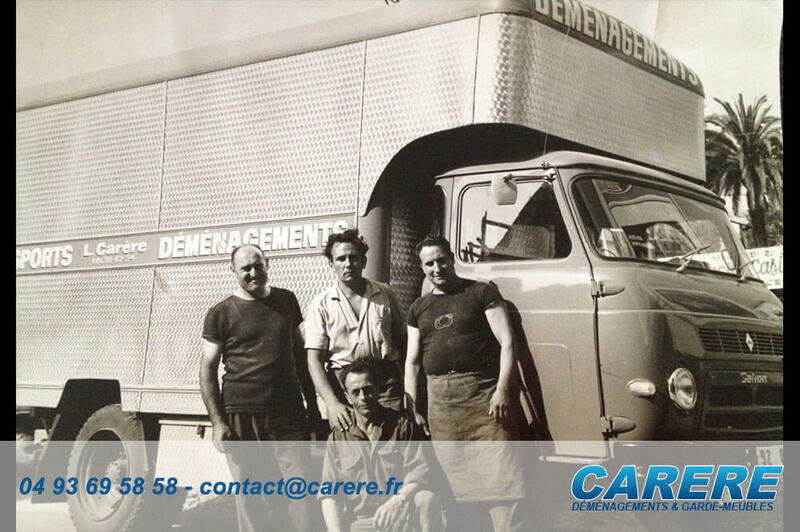 From father to son since 1951 our experience, our reliability and our knowledge have promoted our awareness. 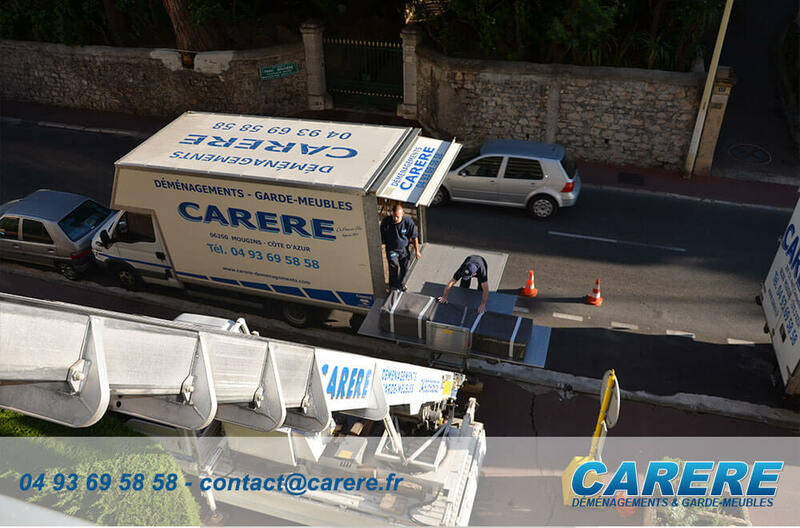 CARERE movings intervene in all the cannes and regional area, but also throughout France, Monaco and internationally. 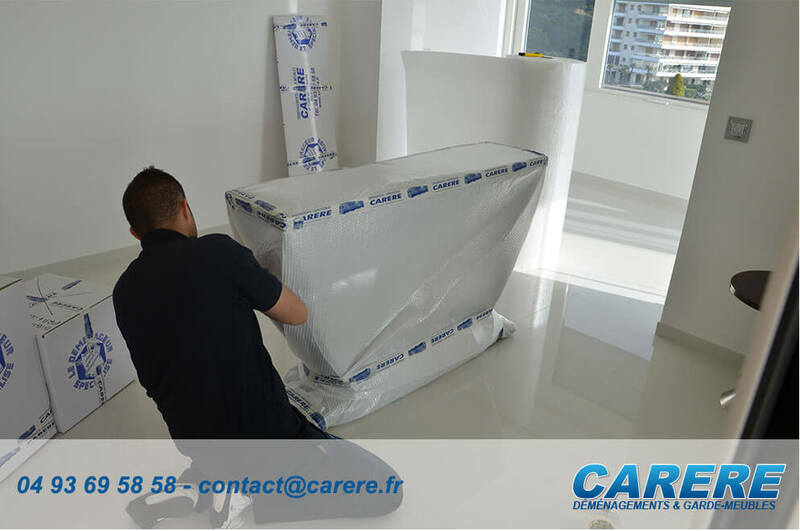 We also have leader equipment allowing to bring daily solutions adapted to your needs in terms of moving and furniture storage. 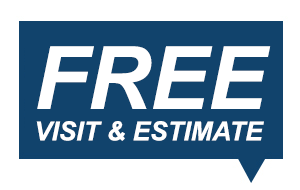 To ensure that your move is the best price we organize regular Clustering in Moving to various destinations. 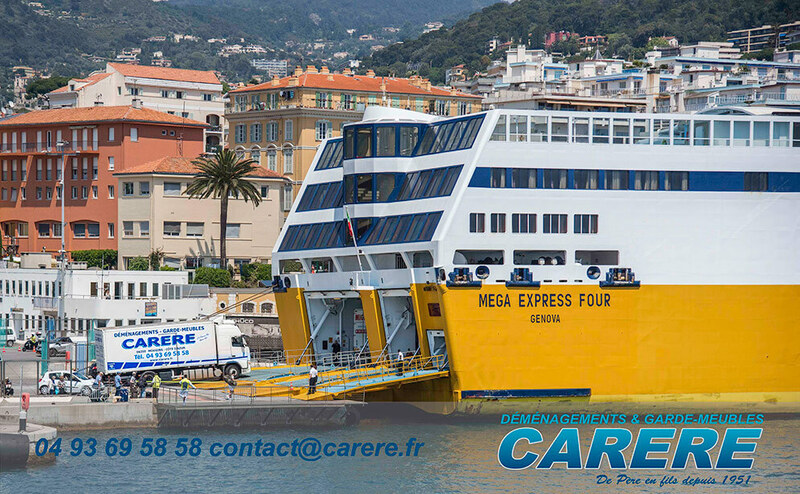 For example, we often hold moving between groups CANNES OR PARIS or VALBONNE to the Paris region. 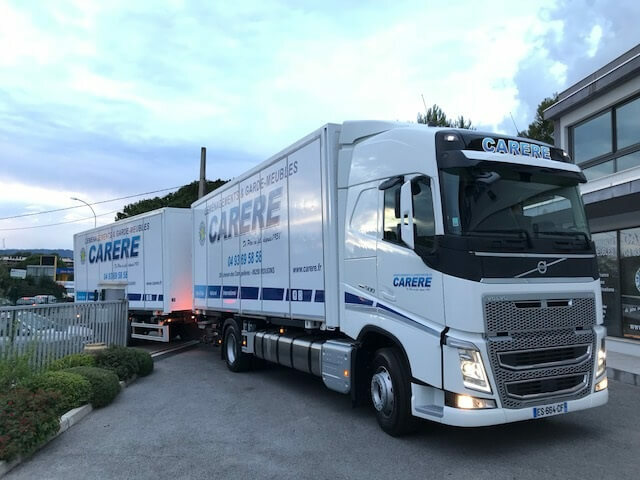 We have a range of modern and various vehicles from the simple van to the 100m3 trailer, from thermic and electric furniture lift as well as a whole range of modern and specific packing. 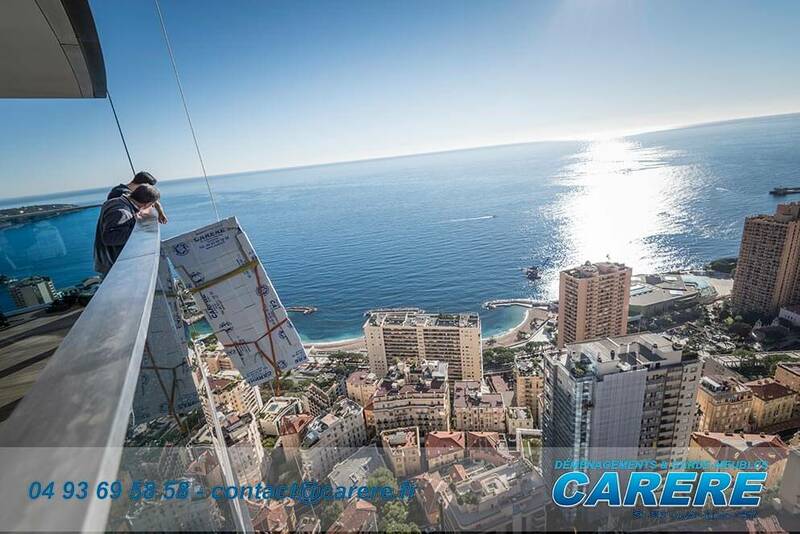 Our professional staff, qualified and dynamic, contributes to provide you with an excellent service. Listening, courtesy and dedication are our master words. 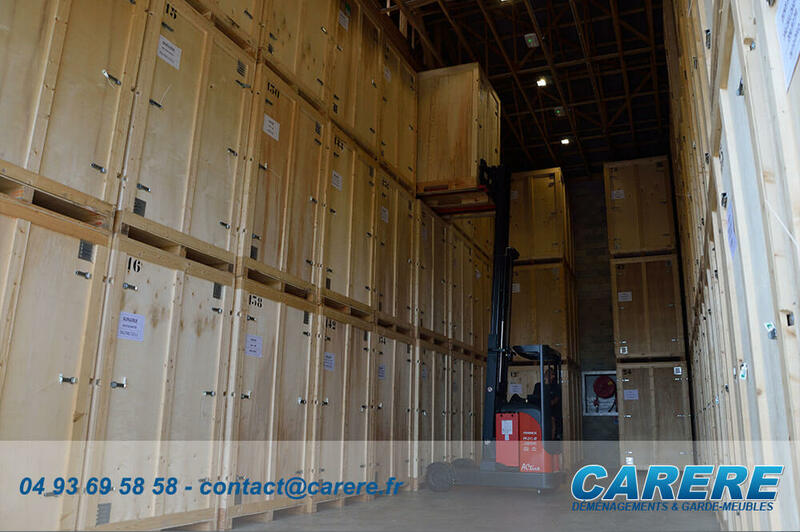 Our recent furniture storage welcomes hundreds of individual sealed and ventilated containers by 8m3. 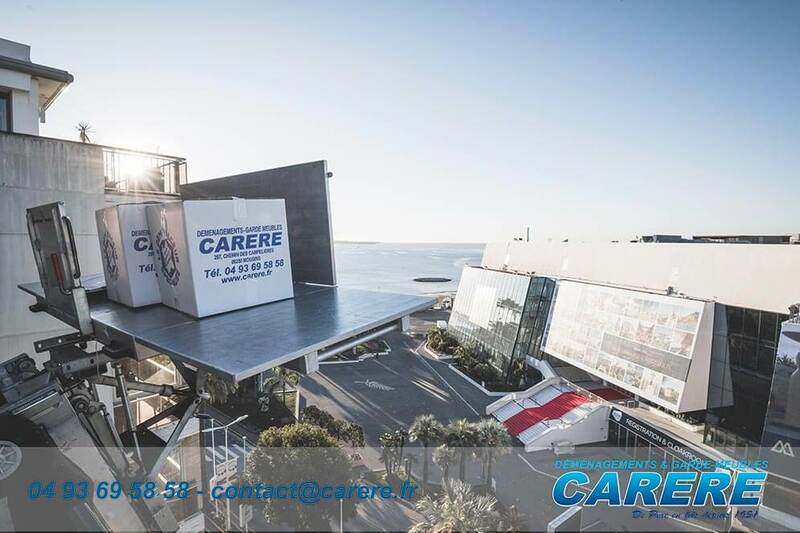 Protected from humidity and dust , it is also totally secured by alarms , video surveillance and tele surveillance 24h a day and seven days a week. The respect of your goods and your entire satisfaction are our first priority. Zero default is our constant goal. 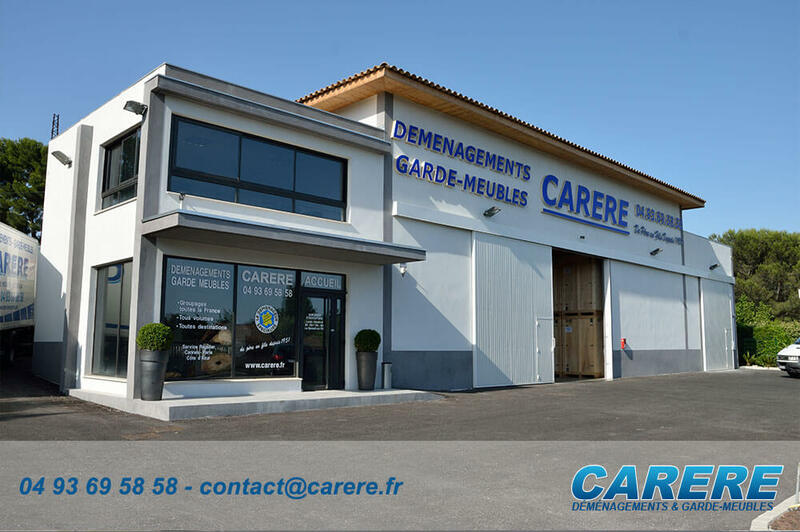 For further information , contact us and come to visit us, we have a big private parking lot.